Fine Art Images by Linda. Her style is different from that of Al. Less technical, and she has her own composition ideas. Little or no HDR, just great photography. For prints of these images, please email us at Allindaphoto@gmail.com. We make sure you get the correct size for your needs. We can custom print any size up to 17" X whatever. Try our reflection-free prints. We can also make custom mats for your print. Framing can also be included. If so, your framed print will be ready to hang when it arrives. For larger prints we can have the image printed off-site. Contact us for pricing. 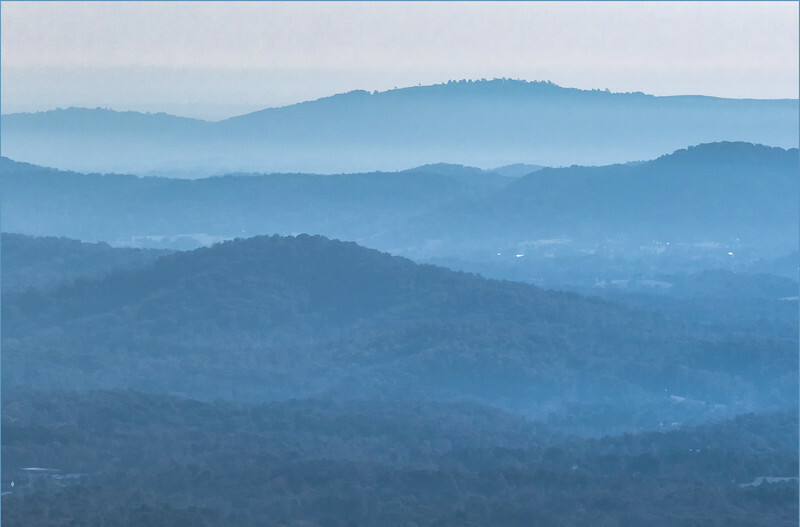 Layers of blue on Skyline Drive, taken by Linda close to noon. Almost abstract.